Kerry Town, 3 houses from Zingerman Sandwich Shop and near E Kingsley and N Fifth Ave. Also near the hospital, Medical School and Central Campus. Large 6 bedroom and 4 baths. Very large bedrooms with large closets and closet organizers. Large living and dining rooms and a large kitchen. State of the art kitchen with Granite counter tops, dishwasher, disposal, built-in m/wave oven and ceramic flooring. Kitchen beautifully open to the dining room area. Tastefully remodeled 4 baths with 48" showers, ceramic floors and new fixtures. Front porch and a beautiful large side deck for grilling and entertainment. Wood floors throughout. Free Laundry and ample free parking. Individual room locks. Furnished with above average furniture to include 2 leather couches, coffee table, dining table and chairs, computer desks, dressers & double beds. 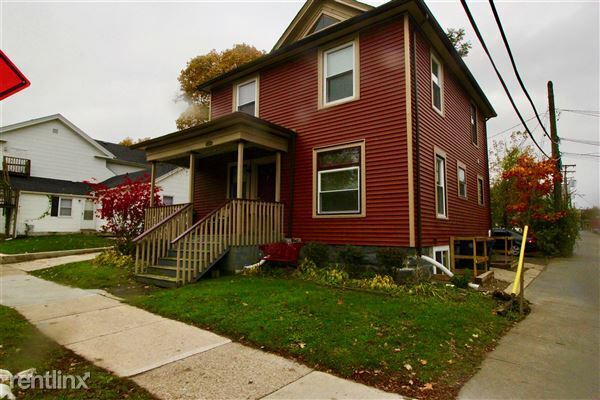 Please check michiganrental.com for more info or listings and Call Lubna @ 734-545-2281 or Zaki @ 734-260-7215 for any questions or to arrange a showing.